During our recent weekend together, Susie and Cathleen bought new hats! 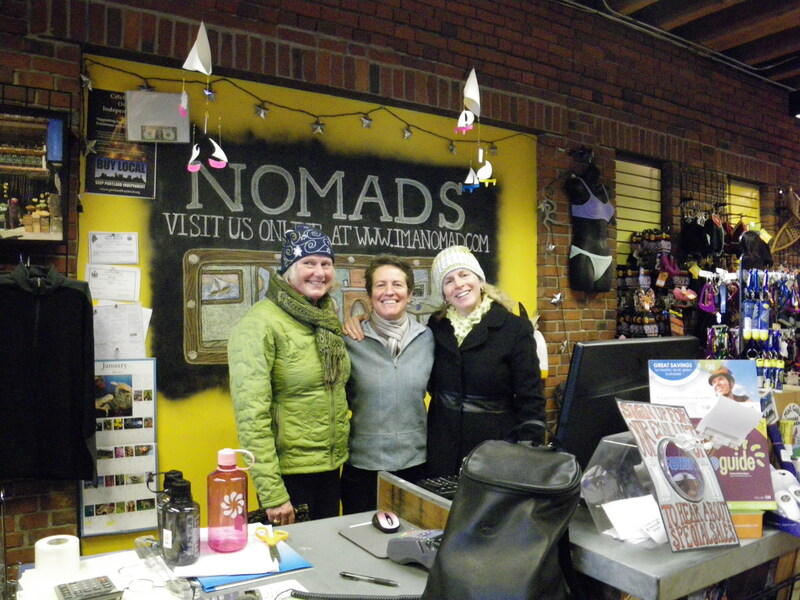 Brenda and I were wearing our very warm and stylish down coats, purchased recently right here at Nomads. Looks like another terrific girls’ weekend! You know it! This year we did an in-room pot luck dinner on Friday. i think we’ll do that every year. It was relaxing not to go out and we saved $$$. I also had my electric tea kettle for tea whenever I wanted. Cath made smoothies for breakfast on Sunday. It was the cheapest dining weekend we’ve ever had! oo I’ve been eyeing that coat Brenda has on, is it the Isis Town Coat? Love it! Looks like you had fun! I don’t think it’s an Isis coat. Only because I thought Kelly said they were going out of business. And Cathy already asked Kelly to order her one for next year when the new designs come out. 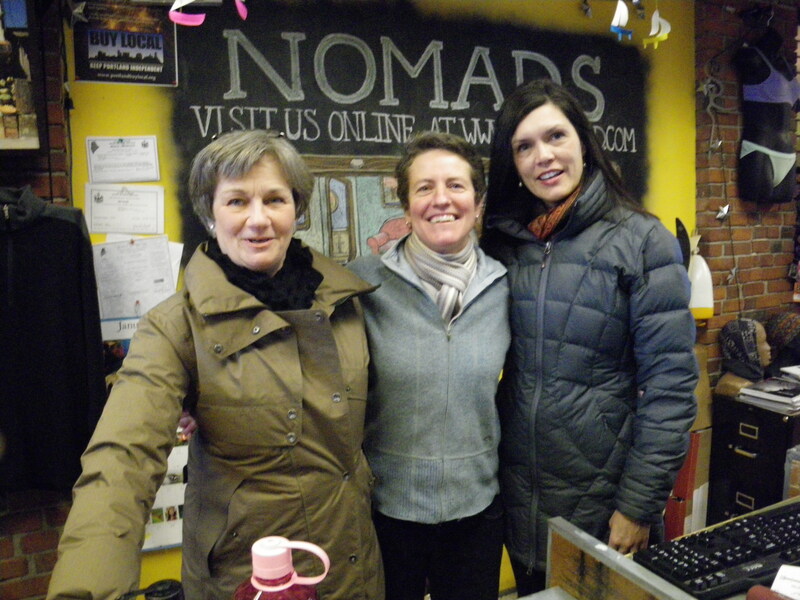 I wonder if you could find out by visiting the Nomads site? Hope you hear from MECA today!!! YES of course!